Some one at Marvel just became engaged! 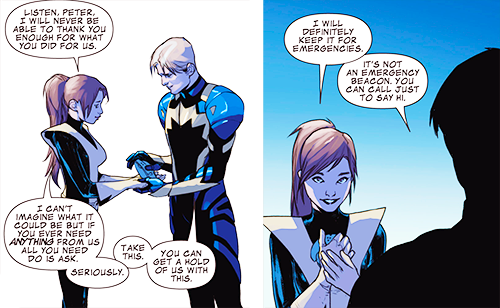 Ok so way back in the Trial of Jean Grey there were some cute moments between the character Starlord and Kitty Pryde that I noted. This cute relationship has continued in the current Black Vortex and even continued to grow in one unexpected way. 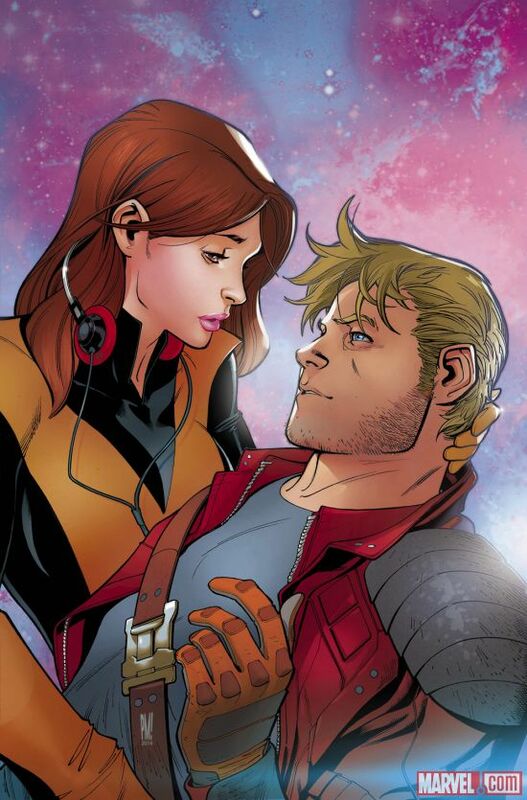 Starlord and Kitty Pryde became engaged.......Wowza that was fast. Blackvortex Event Preview - Guardians and X-Men team up! Secret Wars Event on Jan 20th 2015! At the end of Trial of Jean Grey the two part but not before Starlord gives Kitty Pryde a special holographic communication device. They begin going on Holodates in the pages of Legendary Starlord. Quill tends to call up Kitty when he is in jail where he ends up a lot. The two then form a relationship and Kitty helps rescue Peter from the villain Mr Knife.